"Very good and cheerful Salesman "
Read our customers' honest and impartial Fiat 500 car reviews and ratings to easily find your next car at Motorparks. I love my Fiat ! I have recently got a new one and so happy that I didn't choose a different type of car, my previous fiat took me on many adventures and never let me down and I am looking forward to going on many more in my new one ! They are great on petrol and so nice to drive , i will never steer away from fiat as I believe their cars are the best for comfort , affordability , style and economically they help the world. Lovely fun car and cheap to run - I've saved money on insurance, tax and breakdown cover. Very nippy car, we love it. It's a very good 7seater for those who need to use extra seats occassionally. All the specifications are good and brings value to the money paid. 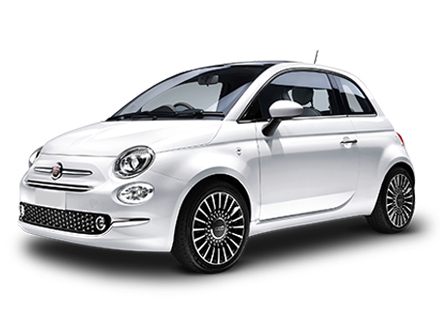 What a great little car perfect for around town I bought this for my wife and she loves the fiat 500. Fiat 500 nice little car. Cheap to run, insure and tax. I traded my Ford Fiesta in for a Fiat 500 and I'm loving it. It's smart, nippy and so easy to park and do 3 point turns! My only criticism is that the boot is rather small. It's great on petrol and it doesn't feel small inside - a little car with a big and spacious heart! I could not have asked for a better service from start to finish. Thanks Ben! The car itself is exactly what I asked for with an equally great deal. I love my new car! I am so glad I decided to go with a fiat as it is cheap to run, easy to drive and robust in all weathers. The air con is amazing and the sun roof is an added bonus also! The technology in the car is really easy to use and is also really effective at doing its job. If you are thinking of getting this car, get it and you won't regret your decision. I know I haven't! My new car is my second fiat 500 Pop, and I love especially the interior red and grey seats finished off with the cream leather head rests, looks very sporty. Of course the exterior is very stylish too and and the chrome wing mirrors look great with my chrome wheel trims, I've gone for white this time as I will be able to advertise my business which will look effective and will be sure to catch the publics eye, I love the individuality of a fiat 500 and will be sure to carry on driving them in the future. My wife and I have recently bought a Fiat 500 and a 500X. We love them both. Great fun to drive and really quirky design. Bloody love this little car it's what I wanted and more. Very good little car, good spec and pleasantly surprised at build quality. Also has a very good boot. It is a pocket rocket, very nippy. Very good on fuel. Bought the Fiat 500X for my wife the car is brilliant ticks all the boxes she is so happy with it. Fiat 500 Lounge - very spacious for size of car, light interior due to glass roof, great car and perfect for my needs. I love it! I love the car it is such a joy to drive. This is the second one of these I have purchased. The first one I traded in against the Fiat 500L and hankered after my Fiat 500C ever since. So bought another and I'm thrilled with it. Small and compact, a proper head turner. It has everything I needed included as it was customised to my personal taste. Can't wait for the warmer weather to take the soft top down. Love that this also has Sat Nav built in, that's a real bonus. Hate fiddling with separate gadgets and having wires plugged in/hanging. The pearlescent paintwork is divine. The automatic gearbox and twin air engine is way beyond my wildest expectations. And even without all these perks, it's still a classic design and I would still buy one. I'm a very satisfied customer. Purchased a 500X Cross Plus petrol. The car has every extra you could possibly want. Came from a BMW and the build quality is very similar. Overall, am very impressed and think it's great value for money compared with similar models. This small but spacious car is luxury on wheels. The seats are comfortable, the interior is refined and it drives like a dream. I would recommend this car to everyone. You will never want to drive another car after experiencing this one. I have had four Fiat cars, I am very pleased with my 500 and the service and advice that I have received from Warrington Motors is second to none, no pressure to buy but questions answered very efficiently, Chris Poole the salesman that I dealt with was excellent I have no hesitation in recommending Fiat to any one thinking of buying, I have driven all over Europe without any problem, good luck to anyone thinking of purchasing a Fiat, will be the best choice made. Absolutely love the Fiat 500X - it's a great smaller car, looks good and drives very nice. Would definitely recommend and have already told two friends to come and see you. This is my first ever car and I love it, low on tax, very economical and nippy, so easy to park. 500S - absolutely love my new car - where to start... comfortable seats, dashboard is clear and bright, easily adjustable steering wheel and easy touch function on streering wheel. Radio is large visual touch screen, I'm able to seat 3 people plus me in the car - the rear seating is a small area but not too uncomfortable for sitting in. The boot is small but that's to be expected with these cars. 1.6 city lounge drives great, lots of cabin room and lots of boot space but may have to change suitcases to fit boot shape. uConnect not for windows phone - new car/new phone. Very happy all round. I have had the Fiat 500L for three weeks now and I am over the moon with the quality of the car. I am 6ft 5" and there is plenty of leg and head room. I used to have a 2.2ltr diesel Peugeot four wheel drive and with all the power that car had I was worried that the Fiat would not live up to what I was used to, but I was wrong. The Fiat 500L is so easy to drive that I needn't have worried, the layout of the dashboard is great, you can see everything you need, and the touchscreen display for the radio and Bluetooth is great. I would recommend the Fiat 500L to anyone.